Host your Special Party Here! Cooking classes are a great way to have fun shile celebrating that special occasion. 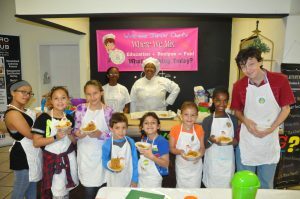 Our school can host class sizes up to 48 kids and or adults! We would love to make your day special. We provide all the food, aprons and hats. You will meet with our Party Planner to help make your event a true success. Whether you want to host a Private Party for Your Employees, Your Children, Your Teens, or Even Toddler’s we are here to help. Complete the form below and we’ll contact you to get things started!